This is the card I designed for my daughters 3rd grade teacher (last year). We gave her a week of gifts and this card was included with the first gift. 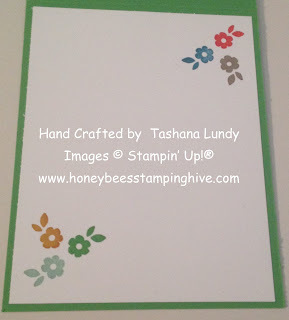 I used the Friendly Wishes stamp set for the sentiment and to decorate the inside of the card. The Cherry On Top DSP Stack added all the wonderful colors that this card needed.